The North Shore of Kauai from Anini past Kalihiwai to the Kilauea Lighthouse is one of our favorite spots in the world. Help us protect it! Anini is indeed a special place. As the largest stretch of reef on Kauai, it is home to patch and fringing reefs that grow beneath legendary breaking waves that help protect the inland waters and keep Anini Beach Park calm year round. 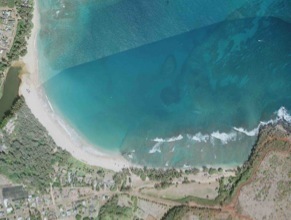 The name for the beach fronting Anini Beach Park is Kalihikai and the beach to the west of the park is called Anini. (References to our survey sites are generally referred to as “Anini”.) Save Our Seas has conducted research at Anini Beach with grades K-12 since 1996 making it the longest coral reef education program of it’s type in the nation. Anini Beach Park is popular county beach park with a boat ramp, good snorkeling site, and many wind and kite surfers. The beach park is midway along the beach. The ramp facility in the beach park is for smaller, shallow-draft boats. The inner reef structure of Anini benthos is primarily unknown. 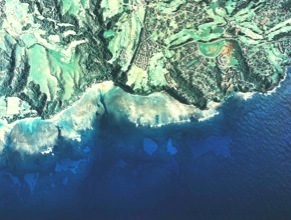 The sand of Hanalei Bay originates at Anini and is brought to Hanalei by ocean currents. Anini also has a rare Halophilia sea grass community where turtles can be found grazing. Anini, Wanini, or Wai-nini? There are many version of this name and the old-timers say that this is its real name. No one knows what the real name is to this day. The plant ‘anini or wānini, Eurya sandwichensis is a small rather glabrous tree in the tea family which occurs more often as a shrub. It usually grows in the in the plains or ridges of the Ahupua‘a. Wanini was the name of the first road sign… but Hanalei resident Walter Sanborn was mad because the sign was misspelled (should be Wainini) and shot off the W with a shot gun. However, people started calling the area ‘Anini because they thought the gunman had now corrected the spelling. Residents say the correct name is Wainini, since there were springs in the cliffs that oozed water which dripped down the face of the cliff and could be collected. 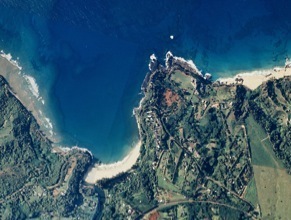 The calm waters, protected shorelines, and many streams feeding into the coastline, provided ideal conditions for the development of shoreline loko i’a (fishponds). 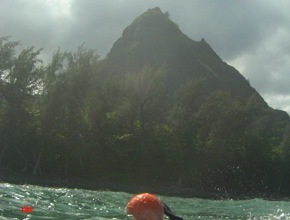 Early Hawaiians recognized these favorable conditions and constructed many in coastal areas like this. 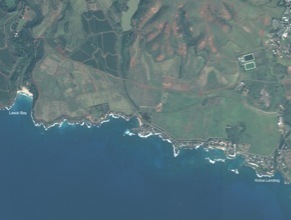 Today most of those fishponds have been filled as the coastline was developed. Restored ponds that remain in nearby Waipa remind us of the ingenuity of the Hawaiians who engineered this early form of aquaculture. 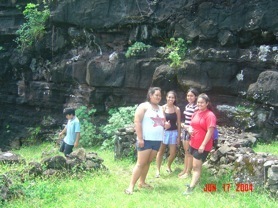 The old rock walls of the remaining loko iÿa have withstood the elements and many forces of change over time. There is not as much on record for Anini as for other sites in the Archipelago. Most certainly its crystal clear waters were home to abundant fish and corals, with white sand beaches along the shoreline, as anyone who enjoys Anini Beach Park can attest. Today the combination of sedimentation, pollution, alien species, overfishing, and marine debris all threaten the health and diversity of the reefs at Anini. Thanks to the crashing winter waves and strong currents, Anini Reef (and most of Kaua’i) has a high “flushing rate” (open ocean waves keep the water churning and mixing) so nutrients and other pollutants that drain into the sea don’t stay on the corals long enough to do irreparable damage. In the summertime when surf on the north shore calms down, Anini has a lower flushing rate and the native alga Cladophora appears in large blooms. Bring your students in May or June to see the full effect of the invasion! 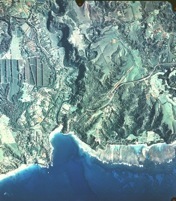 Extensive sedimentation of the area began in the 1940s when sugar and pineapple plantations left soil exposed to heavy rainfall. In the 1970s, increased development of the area for homes caused extensive run-off of soil. Channelization of streams to control flooding around the developed areas also increased run-off of soil and nutrients, such as nitrates and phosphates, during heavy rainfall. Erosion from cattle grazing in upland areas contributes to landslides, which add to the sedimentation and accumulation of nutrients in the water. Human development also causes pollution of the water from sewage disposal. Many of the homes in the area are constructed with underground septic and/or cesspool tanks which leach raw sewage into the surrounding waters during high tides and periods of heavy rainfall. 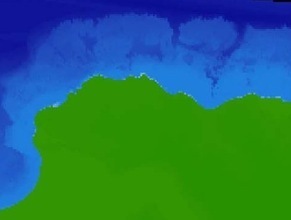 This contributes to the buildup of nutrients and sediments on the reef. The nutrient-enriched waters stimulate the growth of phytoplankton, which decreased the clarity of the water. Cladophora spp. also began to grow rapidly during summer months with the increase in nutrients. This algae along with other species of cyanobacteria displaced corals and disrupted the natural balance of the coral reef ecosystem. Higher concentration of sedimentation, algal & cyanobacteria growth near the west bathrooms could be caused by: Polo Fields fertilizers, animal waste runoff, septic/cesspool from the bathrooms, and seepage from private homes in the area who were not required by law to change from cesspool to septic. It is believed that many Princeville contractors and business owners wash their chemicals, pesticide and other biocide into storm drains which makes it’s way to Anini and beyond. One person and One Business can make a difference! 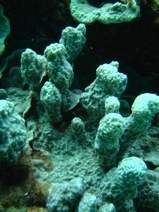 When nutrients, such as nitrates from human sewage and lawn, polo field, or golf course fertilizers wash onto the reef, conditions are favorable for the fleshy limu species, such asCladophora to grow more rapidly. In addition, since 1950, there have been 18 different species of limu introduced to O’ahu, some intentionally for aquaculture research, and others accidentally on ship hulls (Russell, 1992). Some of these species have spread to the outer islands. Five of those species have become highly invasive, including Acanthophora spicifera, Gracilaria salicornia, Kappaphycus spp., Hypnea musciformis, and Avrainvillea amadelpha(Smith, 2002). Another factor that contributes to the invasion of limu species and the degradation of the reef is overfishing. The Department of Natural Resources, Division of Aquatic Resources (DLNR/DAR) requires commercial fishers to file fish catch reports, which helps the agency to monitor the resources. DAR reports that there has been a significant decrease in the abundance of inshore marine resources over the past three decades (DLNR/DAR, 2005). When herbivorous fish that help to control the growth of limu are overfished, this affects the balance of the coral reef. Our goal is to highlight how Kaneohe Bay is severely invaded and with Anini being much like Kaneohe it could someday look like Kaneohe if we are not careful. “Lay gill nets are monofilament meshing that can be strung together for hundreds, even thousands of feet and indiscriminately kill huge numbers of fish and other marine life with no regard to species, age, or season. Lay gill nets destroy habitat. They damage coral and sea grass beds, destroy critical nursery, foraging, spawning, and refuge areas for fish and shellfish. At times, massive nets drift away with the current or are forgotten, entangling endangered monk seals, sea turtles, and a range of other marine life. Common practice is to leave nets unattended in nearshore waters for long hours and often overnight. Lay gill nets have severely damaged our coral reef ecosystems and depleted (our) fish stocks” (Kahea, 2006). –Requires that nets not be left unattended for more than 30 minutes (Fair Catch Hawaii). Marine debris is typically defined as any man-made object discarded, disposed of, or abandoned that enters the coastal or marine environment. It may enter directly from a ship, or indirectly when washed out to sea via rivers, streams and storm drains”. “Marine debris is a historical problem that is continuing to grow. Every year, marine debris injures and kills marine mammals, interferes with navigation safety, has adverse economic impacts to shipping and coastal industries, and poses a threat to human health. Our oceans and waterways are constantly polluted with a wide variety of marine debris ranging from soda cans and plastic bags to derelict fishing gear and abandoned. In addition to all of these threats, the issue of global warming is recognized to have an impact on the acidity of ocean water, which affects coral reefs. Approximately one-third of the carbon dioxide emitted into the atmosphere from fossil fuel burning and other human activities is absorbed into the ocean each year. Since the beginning of the industrial revolution the pH (acidity) of the surface water of the oceans has decreased by about 0.1 units (IUCN and TNC, 2008). The reefs are directly affected because the carbon in the carbon dioxide forms carbolic acid in seawater. Corals need calcium to grow, so with the calcium diminished, coral reef growth declines. If the acidity of the seawater increases past a certain threshold, the calcium in existing reefs can actually be dissolved. The beautiful and diverse coral reefs of Anini are an incredible resource that is changing. Unfortunately, the reefs are losing their diversity as invasive limu (algae) species overgrow the corals. At Anini we see a major overgrowth of Cladophora spp. in the summer months. Gracilaria salicornia, (an introduced invasive) also known as “gorilla ogo” and Dictyosphaeria cavernosa,commonly known as green bubble algae, are native species that have become invasive in Hawai’i. These two are the most successful invaders at Kaneohe Bay. We do not want to see these come to Kaua’i. We can compare Anini to Kaneohe to show what happens to a true “invaded” reef, and see the AniniCladophora invasion primarily in May and June. The factors that lead to algae reef invasions can all be traced back to human activities. 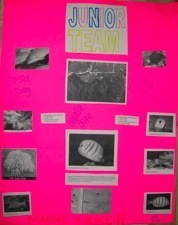 The student reading provided with this activity includes a chronology of events that contributed to the invasion of coral reefs by limu species. In a balanced, healthy reef ecosystem, corals and coralline algae are the dominant species. The fleshy limu are less dominant but they play an important role at the base of the food chain, supporting the diverse species of invertebrates and herbivorous fish that feed on them. When nutrients, such as phosphates from human sewage and lawn or golf course fertilizers wash onto the reef, conditions are favorable for the fleshy limu species to grow more rapidly. Homes built at Anini, like many places across the state, have cesspools (a hole dug in the ground with a cement top) that overflow during heavy rainstorms carrying sewage to the ocean and also “leak” as the tides go in and out. Thanks to a recent law passed nationwide by the EPA in 2000, cesspools are no longer being built and must be replaced by plastic septic tanks. Another factor that contributes to the invasion of limu species is overfishing. The Department of Land and Natural Resources, Division of Aquatic Resources (DLNR/DAR) requires commercial fishers to file fish catch reports, which helps the agency to monitor the resources. DAR reports that there has been a significant decrease in the abundance of inshore marine resources over the past three decades (DLNR/DAR 2005). When herbivorous fish (like surgeonfish) that help to control the growth of limu are overfished, this affects the balance on the coral reef. When overfishing is combined with excessive nutrients from human activities on land, the stage is set for invasion. Since 1950, there have been 18 different species of limu introduced to O’ahu, some intentionally for aquaculture research and others accidentally on ship hulls (Russell, 1992). 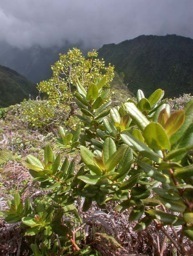 Five of those species have become highly invasive, and have spread to the outer islands, including Kauai. •1940 – Sugar and pineapple plantations left exposed soil that washed into bay during heavy rains. •1959 – Konohiki (local fishing rights) change as Hawaii becomes a state of the union. •Princeville Ranch obtains a lease 2500 acres of land near Anini, severely eroding the hills by cattle grazing causing more sedimentation on the reef as soil and nutrients wash down to the sea. •There is an old dump that drains into the first set of streams. •To the East Kalihiwai valley and homes of Kalihiwai Ridge “drain” to Kalihiwai River. •Cesspools dug during land development leach raw sewage into the surrounding watershed during heavy rainfall. •Boat ramp has potential pollution impacts. •Human population growth in the area increased. Land cleared for houses and roads, causing more sedimentation. •1983 – Kauai Polo Club began holding events at Anini field (above Anini Beach Park) that contribute to run-off of soil and nutrients such as nitrates and phosphates. •2000 – EPA passes a law nationwide for the outlaw of cesspools in favor of septic tanks. Department of Land and Natural Resources, Division of Aquatic Resources (DLNR/DAR). 2005. 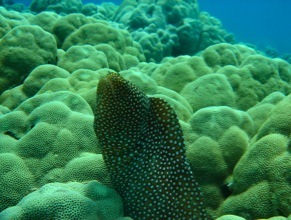 Marine Protected Areas In Hawaiÿi. A supplement published by the Custom Publishing Group of the Honolulu Advertiser. March 9, 2005. Honolulu, HI. Eldredge, Lucias G. and C.M. Smith. (eds). 2001. 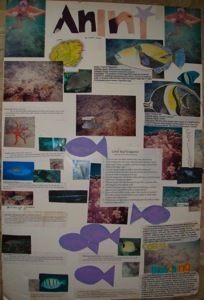 A Guidebook of Introduced Marine Species in Hawai‘i. Bishop Museum Technical Report 21, Bishop Museum Press. Honolulu, HI. Johnson, Rubellite Kawena. 1981. Kumulipo, The Hawaiian Hymn of Creation. Vol. 1. TopGallant Publishing Co., LTD. Honolulu, HI. Kamakau, Samuel M. 1991. Tales and Traditions of the People of Old: Nä Moÿolelo a ka Poÿe Kahiko. Bishop Museum Press. Honolulu, HI. 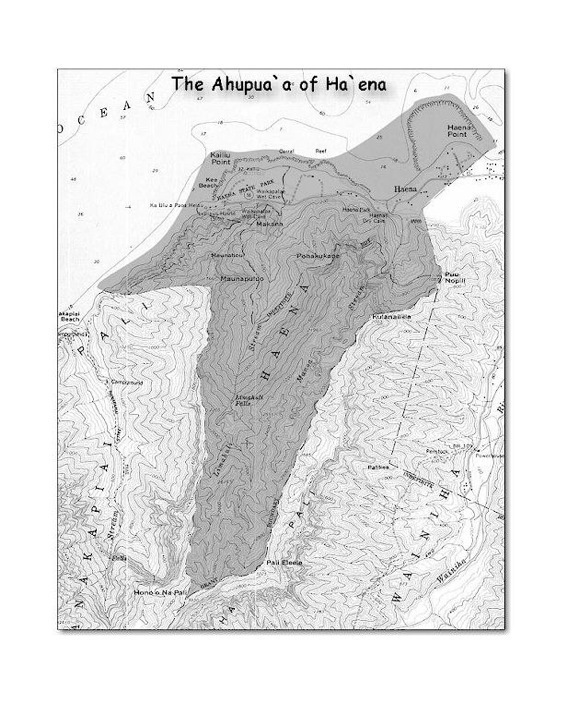 This website, developed by Dennis Kawaharada, provides legends, site maps, the names of winds, rains, the ahupuaÿa, and general information about the island of Oÿahu. Knee, Karen L., Layton, Blythe A., Street, Joseph H., Boehm, Alexandria B., Paytan, Adina. Accepted: 28 May 2008. Pukui, Mary Kawena. 1983. ‘Ölelo No’eau Hawaiian Proverbs & Poetical Sayings. Bernice P. Bishop Museum Special Publication No. 71. Bishop Museum Press., Honolulu HI. Pukui, M.K. and Elbert, S.H. 1986. Hawaiian Dictionary. Revised and Enlarged Edition. University of Hawaiÿi Press. Honolulu, HI. Russell, Dennis J. 1992. The Ecological Invasion of Hawaiian Reefs by Two Marine Red Algae, Acanthophora spicifera (Vahl) Boerg. and Hypnea musciformis (Wulfen) J. 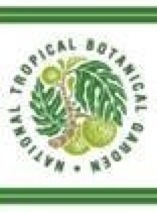 Ag., and their association with two native Laurencia nidifica J. Ag. and Hypnea cervicornis J. Ag. ICES Marine Science Symposia.. Copenhagen. 194: 110-125. 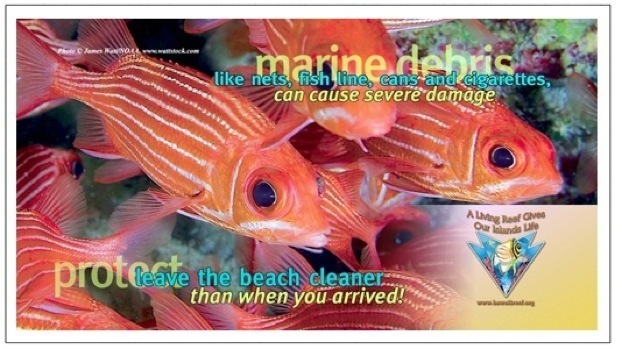 Please Respect local fisherman and do not damage the coral reefs on which they survive! that make this information possible! Lawai Bay is the perfect spot for a Marine Protected Area. Get involved in making this a reality! Lawai Valley is home to the National Tropical Botanical Garden (NTBG) Headquarters and the McBryde & Allerton Gardens. At the base of this valley lies the naturally protected Bay of Lawai Kai. Endangered monk seals and green sea turtles can be found resting on shore and in the tranquil water. This naturally protected area is very close to the highly popular areas of Poipu, Koloa Landing, Kukui’ula dCASevelopment, and Lawai Beach Resort (Beach House). Coral Reefs Must Be Protected and Sustainable Solutions exist! Businesses and Developers can now work together with the community to ensure care of native resources. Our Friends at Kukui’ula Resort, Kaua’i’s Living Garden, imagine a new Kaua’i community helping to protect open space, the ocean, archeological sites, biological preserves and dramatic landforms. A vision of Sustainable development practices that can lead to great things for this unique highly diverse coastal habitat. Imagine unique Community Partnerships where awareness of natural resources is a necessary way of life to keep Kauai’s Living Garden and Living Reef healthy for our families! The goal of Hawaii’s Living Reef program is to raise public awareness of the importance and interconnectedness of the coral reef ecosystem to Hawaii’s lifestyle and to teach and encourage positive behaviors that will protect and nurture this life-giving natural resource. The following are potential locations for benthic monitoring transects in the adjacent area of the Kukui’ula development. These locations account for potential runoff from the proposed golf location bordering the coastline as well as major commercial development inland from the coast. •West of Spouting Horn – 15th hole run off: down current where pollution would accumulate in the benthic sediment and reefs. 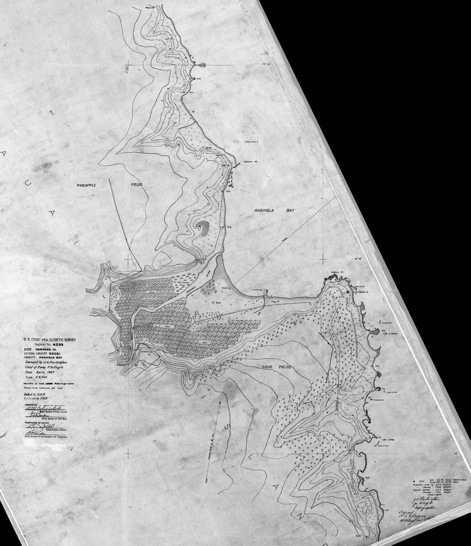 •East of Kukui’ula Small Boat Harbor, where road runs along coast – South of proposed “Plantation House” community centerpiece; it has an existing drainage ditch to divert the flow of runoff toward Kukui’ula Bay (small boat harbor). Just outside of the bay in the direction of the current. Kukui’ula is a Hawaiian word meaning “red light” (source). 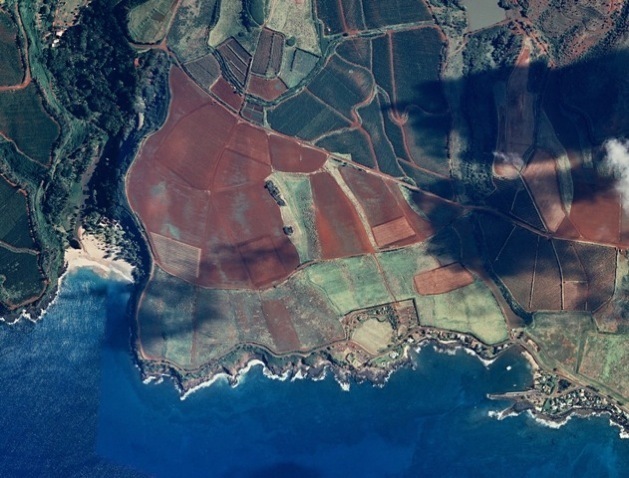 The anglicized version (Kukuiula) is the name of a land area, a bay, and a park on the island of Kaua’i, Hawai’i. 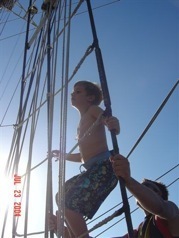 The State of Hawaii operates a small boat harbor on Kaua’i also using the name Kukui’ula (source). The U.S. Fish and Wildlife Service recognizes Kukui’ula as the name of the habitat of the endangered Kaua‘i Cave Arthropods Adelocosa anops(Kaua‘i Cave Wolf Spider), and Spelaeorchestia koloana (Kaua‘i Cave Amphipod). (source1)(source2)(source3). In Hawaiian mythology, Kukui’ula was the demon-wife of Waiolola who lived near Kipahulu on Maui, Hawaii. From the mythology comes the names Kukui’ula Gulch and Kukui’ula Stream on the island of Maui. The National Oceanic and Atmospheric Administration also has a rainfall gauge on Kaua’i by that name. Furthermore, Kukui’ula is also the name of a public street near Koko Head on the island of Oahu, Hawaii (source). The Coral Reef is found at the Genesis of the Hawaiian Creation Chant!